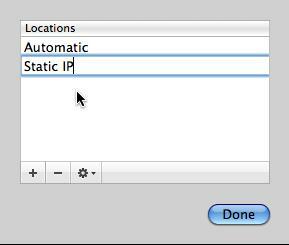 How to change IP to static in MAC OS X? Have you ever experienced difficulty in assigning a static IP address rather than going for DHCP? 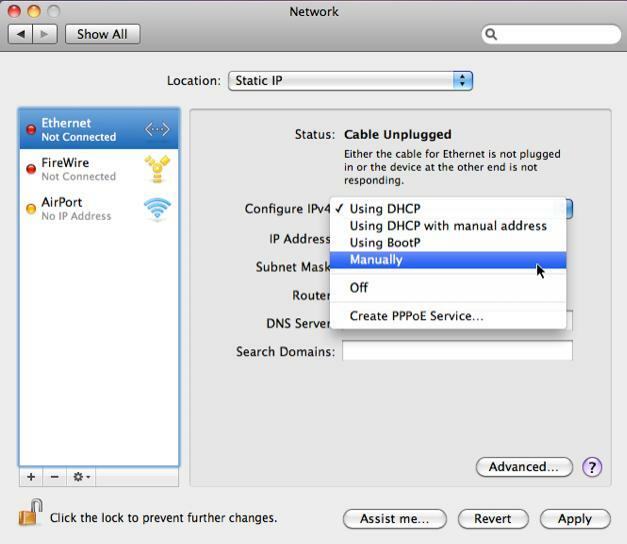 So, after reading this post you will be in a position to setup a static IP for MAC OS X. You might have noticed that many computers are configured using DHCP which assigns a randomly generated IP address to the computer every time it connects to the internet, now you can change and use static IP configuration which will not change. 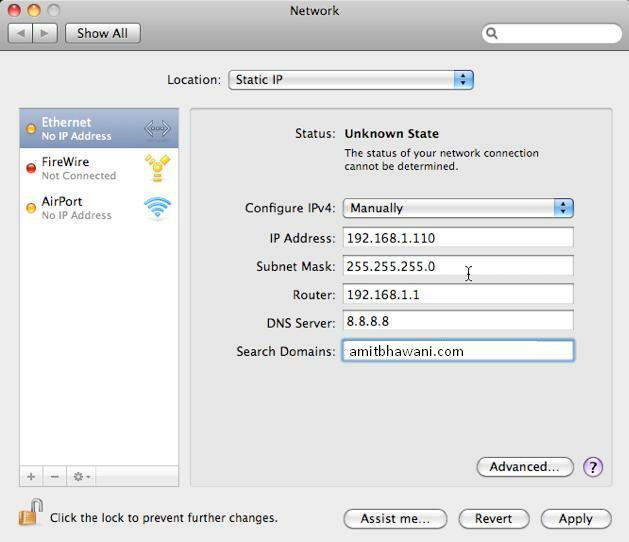 By changing simple system preferences, you can assign a static IP address in your MAC OS X. 1.Firstly, click on “System Preferences” icon which is located on MAC’s dock as shown below. 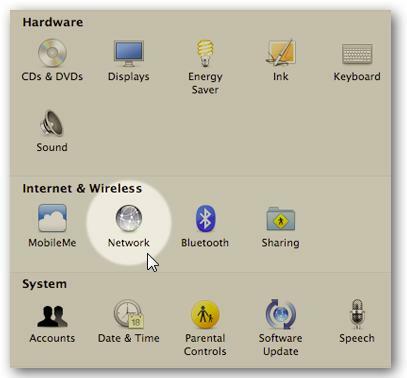 2.After clicking on “System Preferences”, a window will be popping up, in go to “internet and wireless” option and click on “network”. 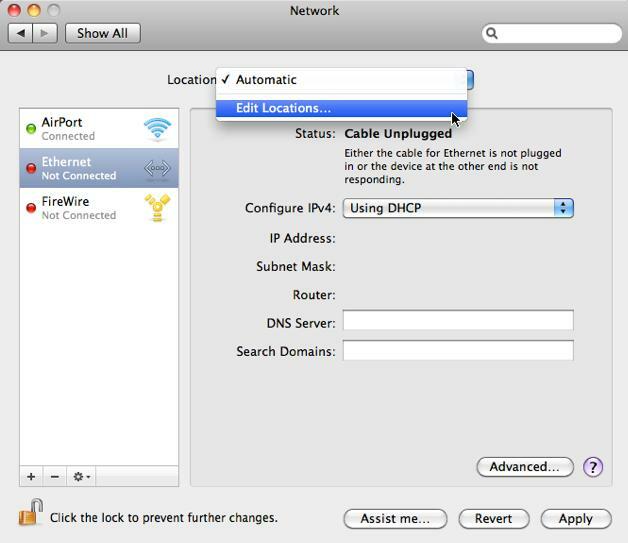 3.After clicking on “Network” a new window will pop up in which then go to “Location” option and select “edit locations” and not “automatic” so that you can easily change from DHCP to manual IP as shown below. 5.After naming it, now click on the location which you wish to set to “manual”. Like as here the first option is configure IPV4 and after clicking on it a new drop down box will be popped out and now select “Manually”. 7.Finally, click on “Apply” and save the IP settings. Bingo! There you are. You have successfully assigned a static IP address and now your IP will not be changed. This facility is very useful when you are setting up your own small network for home office or even in LAN. It can be helpful when troubleshooting networks as well.